The Arctic is often seen as a biodiversity-poor region, where animal husbandry is solely based on herding of reindeer (Rangifer tarandus). However, in northern Europe and Siberia, also breeding of special autochthonous cattle (Bos taurus) and horse (Equus caballus) breeds has a long tradition (for example, Northern Finncattle, Yakutian cattle, Mezen horse and Yakutian horse). shaping Arctic animals’ valuable traits. Each of the ethnic groups studied in this project (Finns, Sámi, Nenets, Pomors, Russians, Sakha, Eveny) have myths and legends connected to orally transmitted narratives of domestication and selection of their animals. This kind of cultural adaptation assistance is mostly due to symbiotic domesticity, an intimate human-animal partnership. 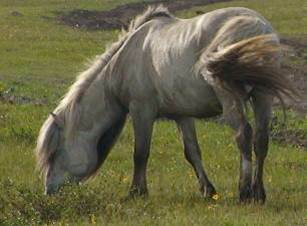 As a result of natural and folk selection, reindeer and Arctic cattle and horse breeds show metabolic, morphological and reproductive adjustments. across regions husbanders’ knowledge of the environment and desired animal characteristics that facilitate a sustainable Arctic livelihood. The data of these two disciplines shall be integrated through approaches of ecological anthropology. The close association between animals and humans over many centuries in the Arctic allows us to identify the human and nature footprints in animal adaptations as well as the importance of different animal species for the resilience of Arctic cultures and economies. The project is a consortium work between our colleagues from genetics and biology at the Finnish natural resources institute (LUKE), and the anthropology team of the Arctic Centre. We thank our reviewers wholeheartedly for their positive evaluation, and the Finnish Academy for subsequent positive funding decision! People working in this project will post here their updates under the category “Arctic Ark: Human-animal relations”. As soon as we have it, we will announce here also the permanent project website. Watch this space! 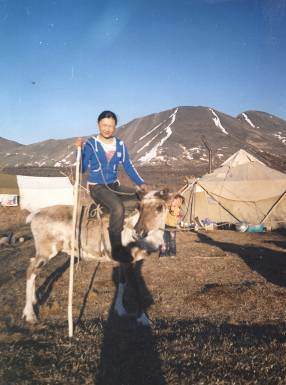 This entry was posted in Arctic Ark: Human-animal relations, Fennoscandia, Indigenous Peoples, Russian North, Sámi, Theoretical Issues and tagged Arkhangelsk, Finn Horse, Kholmogor cattle, Lapin Lehmä, Mezen horse, Nenets, Sakha Yakutia. Bookmark the permalink.